The RTPI was a leading partner in a major symposium held in Hong Kong last month. 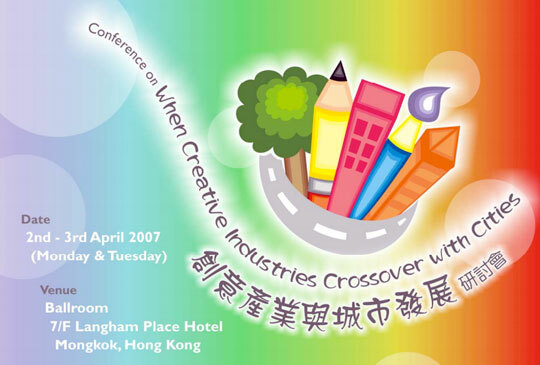 Hosted by the Hong Kong Institute of Planning (HKIP) and the Urban Planning Society of China (UPSC), “When Creative Industries Cross Over with Cities” drew more than 300 delegates, including some from Europe, North America and Australia, and saw considerable media coverage. Creativity and cultural industries are of great interest in this area of the world, which has been seeing structural shifts in traditional manufacturing and the service sector. As well as arts, tourism and urban planning perspectives, a chief concern in China is economic development. Presenting a paper with University of Glasgow cultural researcher Katherine Champion I found that while many issues are globally relevant, policy approaches must be carefully tailored to reflect specific locations and contexts. In China, many cultural operations have grown up in the low-cost space of former industrial buildings, sometimes prospering in neighbourhoods that are then dubbed cultural quarters. The view of some planners is that artists in such areas are only temporary colonists. Ultimately, they believe, these buildings will become ripe for commercial, residential or office schemes. They miss the point that urban creativity is vital for economic prosperity and contributes to the identity of contemporary cities. These neighbourhoods are not just about rental levels. They involve human networks, progressive leadership and organisational capacity, all part of what author Charles Landry has termed a “creative milieu” deemed essential to foster progressive, adaptable cities. To meet such challenges, planners may need to consider stronger urban policy responses, perhaps looking to affordable housing percentages as a way to guarantee a proportion of studio space within reach of cultural industries. Alternatively, they could provide cross-subsidising elements to support lower-rent activity. The need for housing and commerce in Hong Kong and other fast-growing Chinese cities can put older, cheaper buildings at risk. It was refreshing to hear symposium presentations on the conservation and heritage potential of Shanghai, Hong Kong and elsewhere. Laurence Loh’s approach to feng shui and the spirit of place was particularly interesting to a western rationalist. Consultation and engagement issues were also raised and there is clearly more scope for working with artists and the creative sector itself rather than simply providing for them in a top-down manner. Local creative intelligence is something that cities must tap into if they are to prosper in the 21st century. We also heard about pioneering methods of funding, design, delivery and management from Canada, Australia and the USA, with the differences in institutional and fiscal environments being the most obvious contextual factors. Thinking and policy development in spatial planning are relatively underdeveloped. Planners must engage more proactively to nurture cities’ creative potential. There is a danger in simplistically transplanting project models from one context to another. What may have worked in Dublin may not be right for Saigon. The economic and top-down policy agendas can eliminate any authenticity in artistic and creative endeavour. Such reductionism means that we all lose out, not just the artists. The RTPI’s role in supporting the symposium builds on earlier cooperation with Hong Kong and China on policy and educational issues. As well as the important role played by RTPI secretary-general Robert Upton, I learned that the efforts of his predecessor David Fryer, past president Robin Thompson and former education director Margaret Catran are well regarded. Not only was the venture a successful collaboration, but it will serve as a platform on which to build future cross-institutional initiatives. Special mention should go to Johanna Cheng and her HKIP organising team who put in so much work to make the event a success and to UPSC secretary Shi Nan for his strong support. Good luck with the next joint venture.